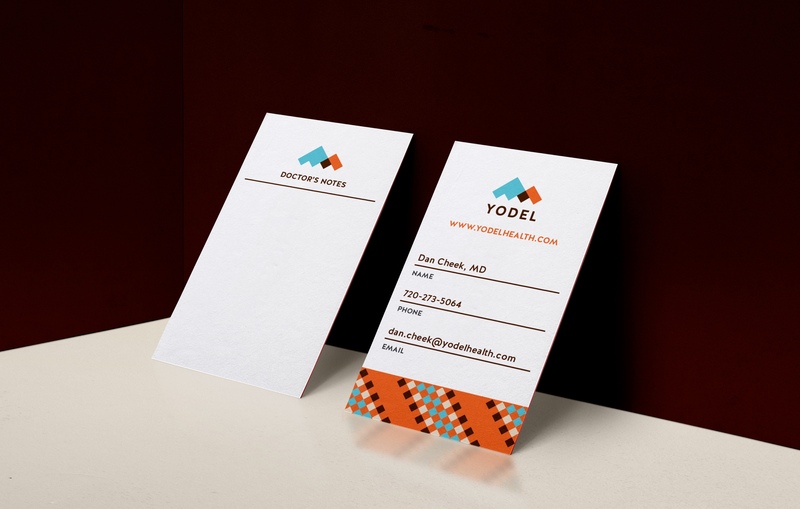 Yodel Health is one of Denver Colorado's first concierge healthcare services. 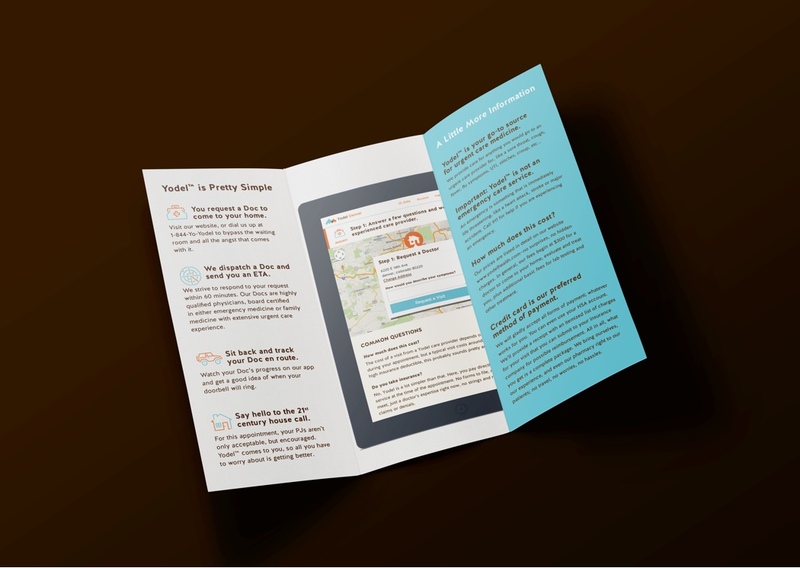 We helped them Invent the Brand and design the Product Experience. 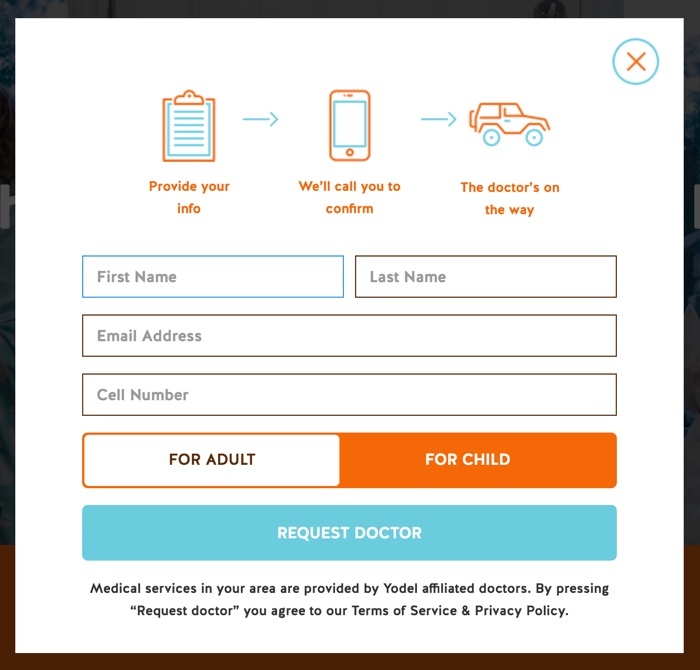 Request A Doc To Your Door Here. More than just a black bag. 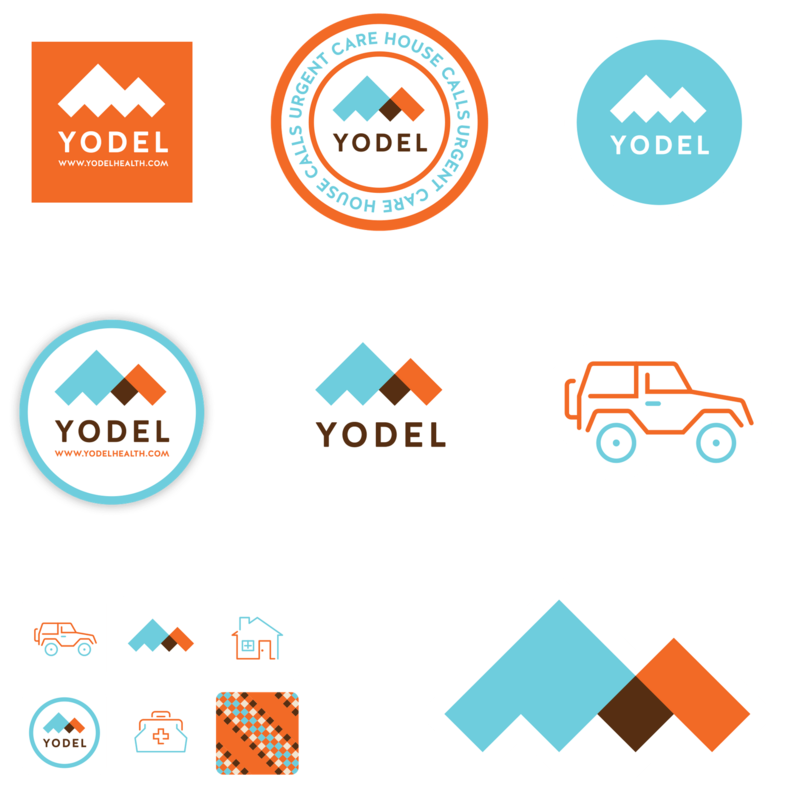 Yodel’s founder is an emergency room doctor with the added high-adrenaline cred of being a Colorado Ski Patrol member. He came to us with an idea to bring the country club reputation of concierge medicine down a notch to appeal to families and travelers in the Denver, Colorado, area. Putting humanity back in healthcare. We don’t remember when doctors made house calls, but we do know that bringing everyday medicine back to some kind of human-centered base is sorely needed. 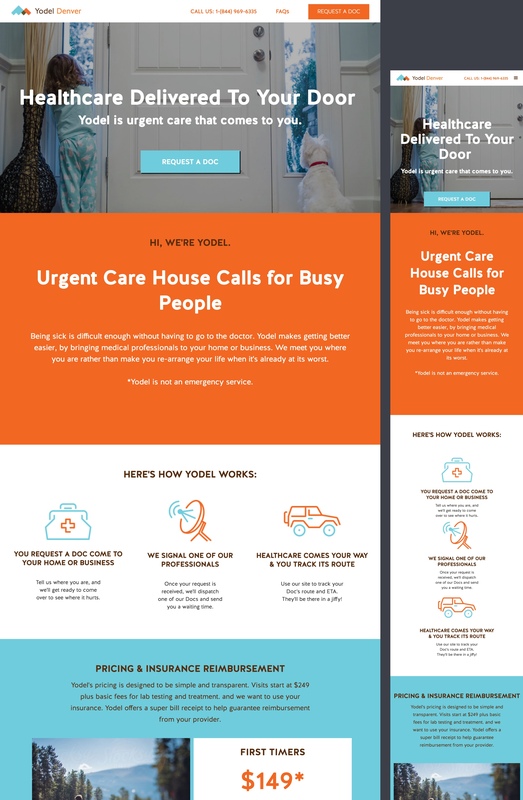 Yodel tries to do something no one’s done in a while — create an effective, one-to-one relationship between doctors and patients without waiting rooms or insurance companies. And they do it pretty well, if we do say so. Need a doctor? Just yell. We started where Yodel did — ski patrol doc takes medicine that comes to you off the slopes and into homes. The name “Yodel” came from that origin story — after only a couple hundred other contenders (naming is like a big party over here). It fit just right: a combination of quirk and urgent call-and-response that made us want to break out tiny barrels of rum. Kind of like Uber, but for wellness. One of the neat things about Yodel (besides that you don’t have to haul yourself to a doctor’s office if you’re sick) is that once you request a doc, you can track his or her progress to your location much like you might an Uber driver. Just order one up, and help is visibly on the way. 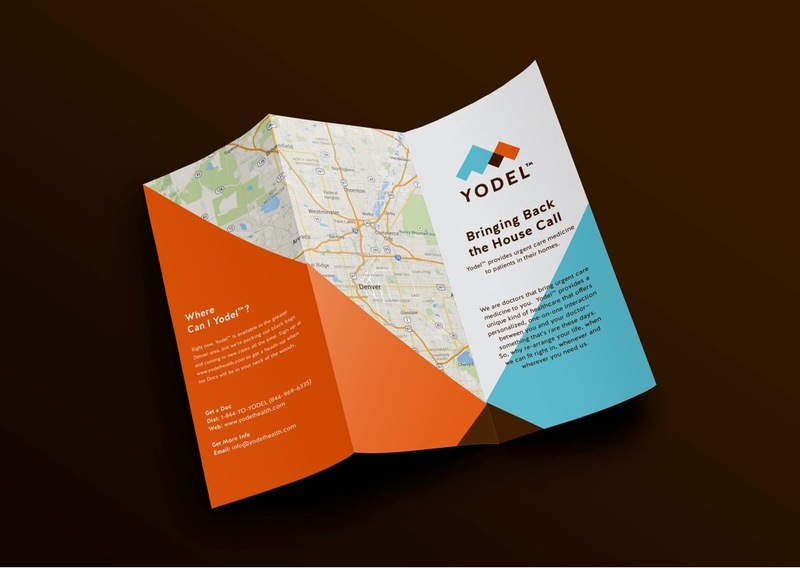 With our design overlaying the online tracking and ordering, we created the Yodel site to be bright, functional and responsive for easy use on the road or on your home computer. 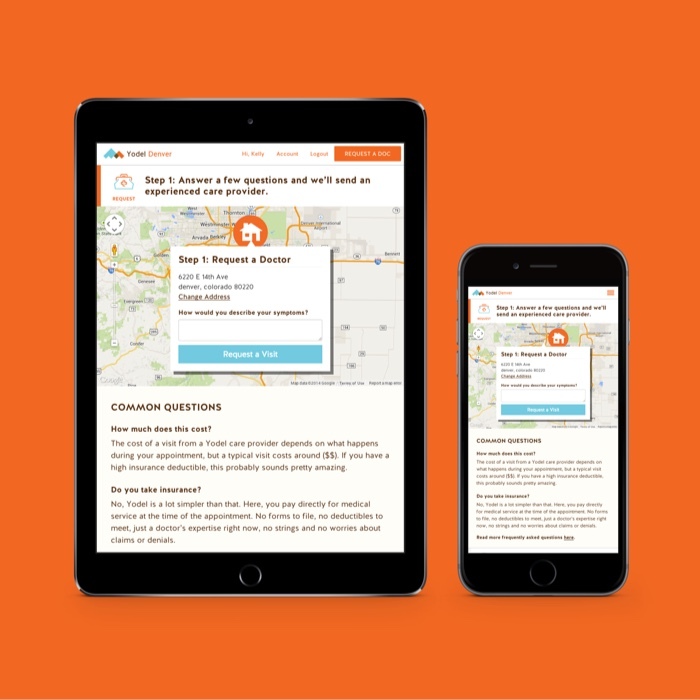 All of it feels a whole lot different than visiting your typical big box health site — just like the service itself. Design that feels good, so you can feel better. Everything comes back to story here. We chose colors and pattern that make nods to embroidery, high performance equipment, and something slightly Alpine. The feel is clean and soothing without veering completely into clinical. Sew-on patches and custom windbreakers were a must.